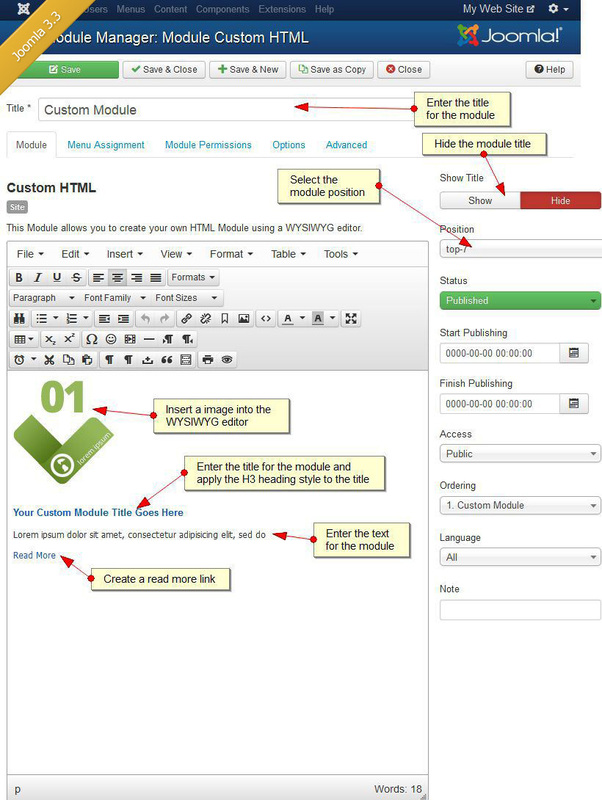 Many of the templates we have developed at the website make use of custom HTML modules which are great for displaying text or images inside the modules which you can create and publish at your website. 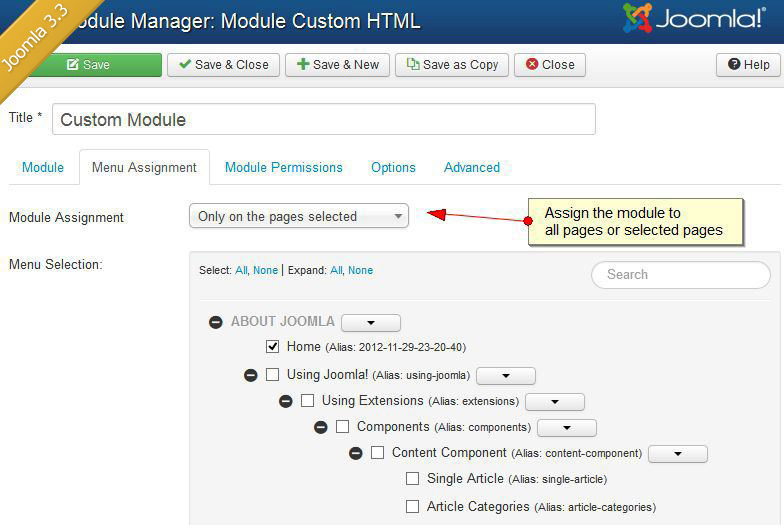 IMPORTANT : For more information about setting up the custom HTML modules for the template read the installation guide. 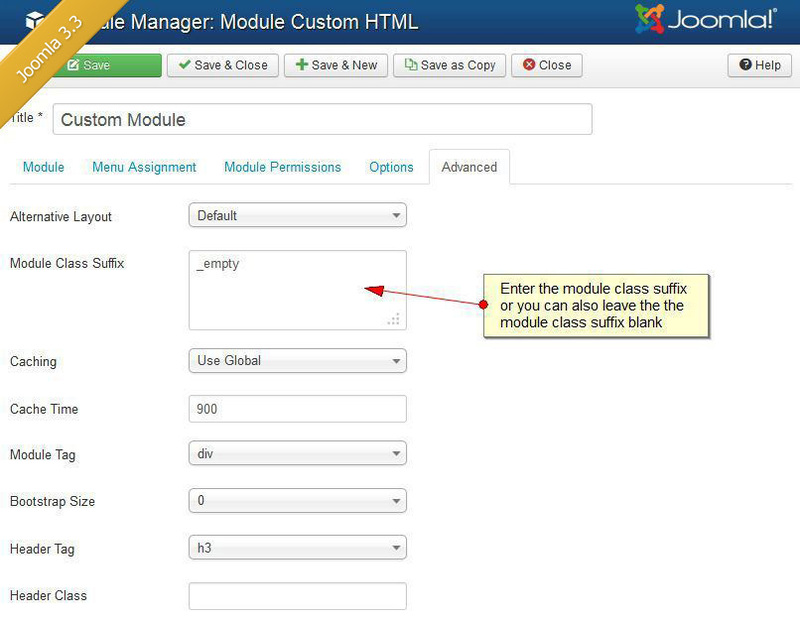 Note: Not all templates use a Module Class Suffix and you can leave the module class suffix blank if the module class suffix information is note included in the installation guide.